All homes currently listed for sale in the zip code 84115 as of 04/25/2019 are shown below. You can change the search criteria at any time by pressing the 'Change Search' button below. 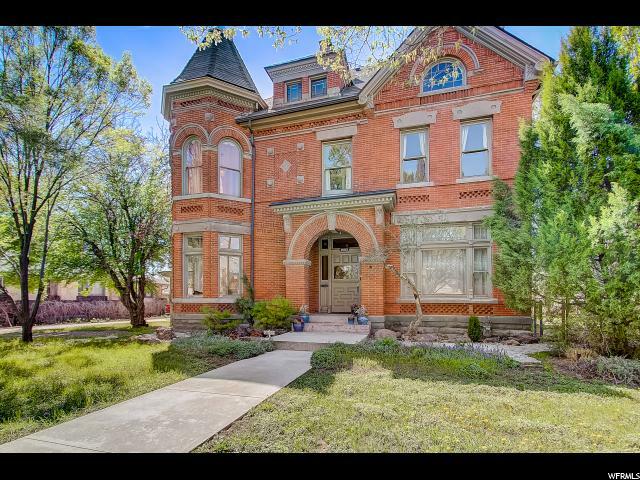 "This wonderful Historic 1896 Mansion sits on a very large, shaded and landscaped corner lot in Liberty Wells. This was home to Septimus and Isabella Sears, and later occupied by Judge Call. 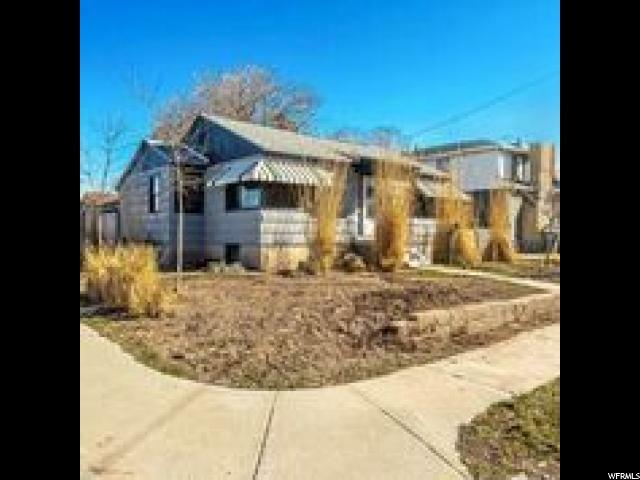 The home has that wonderful historic charm while being modernized with updated kitchen and baths. The main floor has a formal living room, a formal dining room, a parlor with games and access to a large covered deck, the kitchen and a bonus storage and mud room addition. Upstairs you'll find a library loft, bedrooms, and a full master suite with walk-in closet and a beautifully marble tiled en-suite, with soaker tub and separate shower. You'll enjoy watching the sun rise and set from the balcony deck off of the master suite. There's room for expansion as the wide open, 18' ceilinged attic has never been finished. You could easily finish this space to make it your own and add equity to the property. The gardens are beautiful and shady, and you'll love the natural spring fed pond. 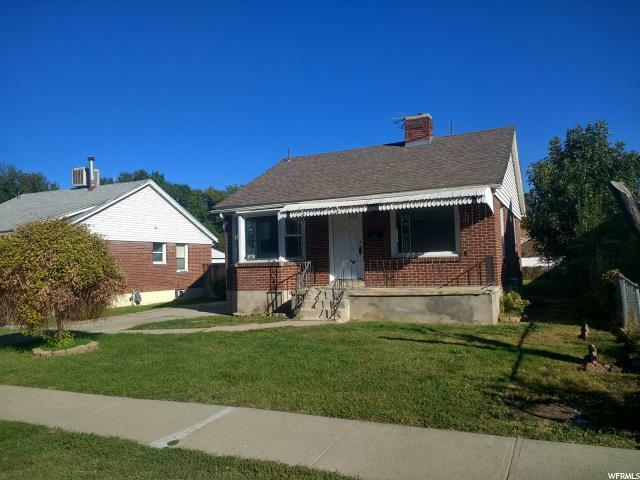 Completely renovated in 1999, this home had a new foundation installed, many new window lintels, new roof, new plumbing, new HVAC, with two complete systems so that the home could be divided into two units if a future owner cared to do so. Rough Elec. & Plumbing for a 2nd kitchen. There's a recently added oversized 2 car garage. While the current owner did not do the upgrades, he is an architect and has drawings of the home for viewing in the dining room. Also look for some interesting documents on the provenance of the home. Check it out!" 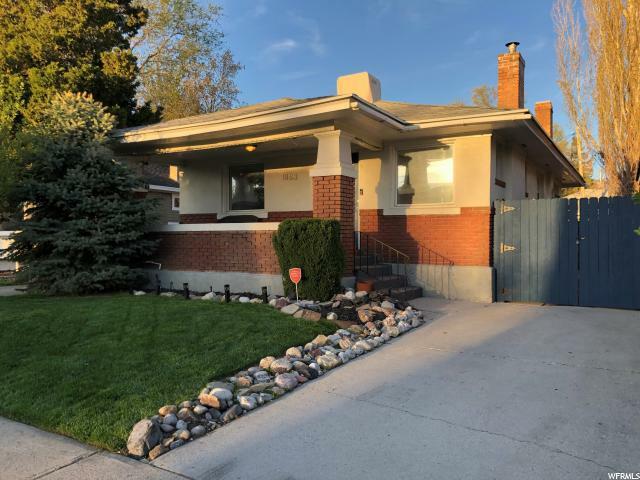 "Major remodel in 2016 includes spacious, open & bright kitchen that boasts soft close doors & drawers, pull outs for heavy pots & pans, concealed trash, stain resistant composite granite/quartz sink, SS appliances. 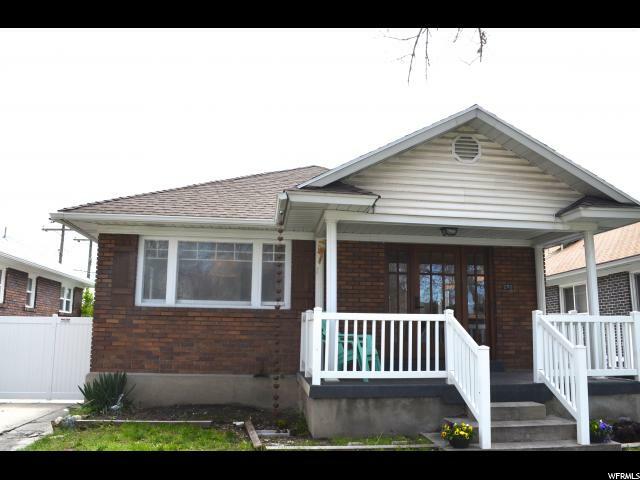 90% updated electrical, 95% updated plumbing, new vinyl windows, remote control gas fireplace, radon removal system. New water main, furnace & water heater 2017. 800 sq ft attic storage. Outdoor living space includes wood furniture w/ cushions, sun shade and string lights (all other patio furniture excluded). Home is situated along open space and walking street, Boulevard Gardens, with a community lawn for playing and recreating. 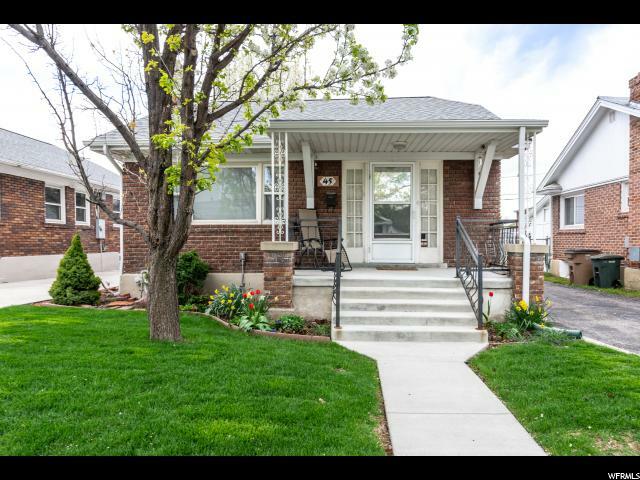 All of this only steps away from Best in Utah - Pho, Pancakes and Biscuits, central to downtown, I-15, ski resorts and bike trails." 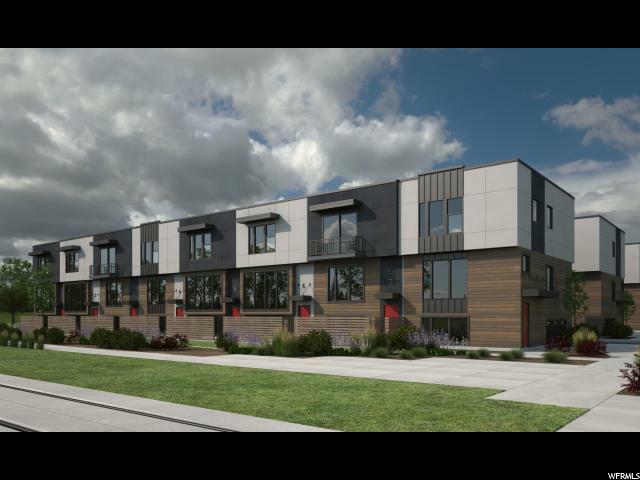 "This gorgeous collection of 20 modern row houses are 100% complete and ready for your move-in boxes. Make no mistake -- the homes at 15 Main are not of the garden variety. 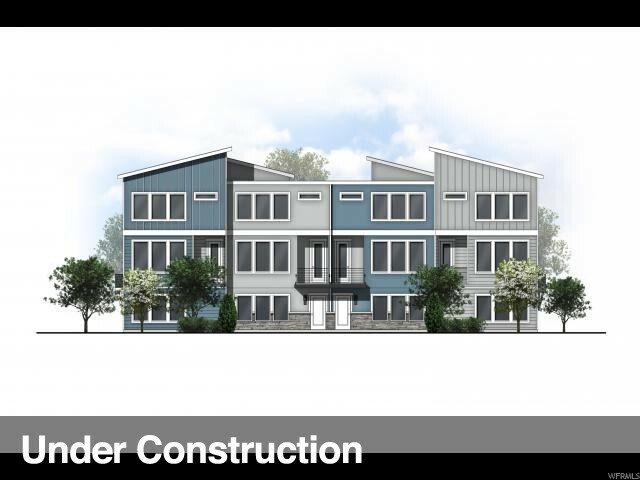 Top-notch design (both inside and out), private balconies and yards, and two-car garages? Yes, yes...a thousand times yes. Think: gated driveway for just the right amount of security and designer finishes that will have you living comfortably and covetably. Two- and three-bedroom layout options leave potential for guests or that perfect live/work space you've been chewing on. And the Ballpark area lends itself to the good life, no doubt -- take a walk to a Bees game or stroll to Sweet Lake Biscuits & Limeade for brunch any day o' the week. 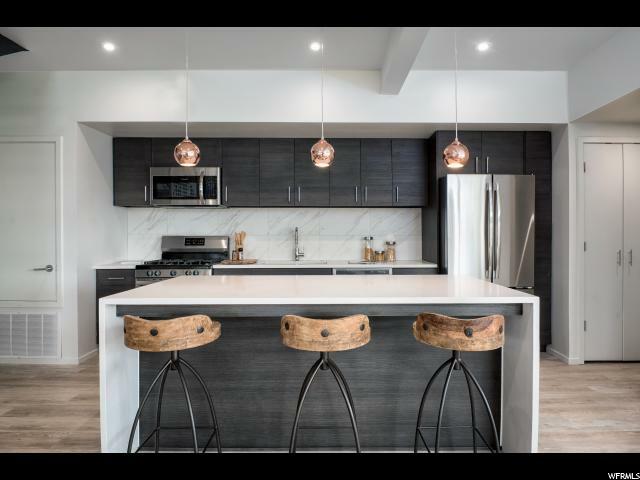 These lovely units are perfectly situated, beautifully bedecked, and waiting for you..."
"This gorgeous collection of 20 modern row houses are 100% complete and ready for your move-in boxes. Make no mistake-the homes at 15 Main are not of the garden variety. Top-notch design (both inside and out), private patios and yard, and two-car garages? Yes, yes...a thousand times yes. Think: gated driveway for just the right amount of security and designer finishes that will have you living comfortably and covetably. Two- and three-bedroom layout options leave potential for guests or that perfect live/work space you've been chewing on. And the Ballpark area lends itself to the good life, no doubt -- take a walk to a Bees game or stroll to Sweet Lake Biscuits & Limeade for brunch any day o' the week. These lovely units are perfectly situated, beautifully bedecked, and waiting for you..."
"**Huge Price Reduction***Beautiful home in an Amazing location! Just a few blocks away from Liberty park. Close to Smith's Ballpark. Large home for the area. Well kept home on the inside. Nice big back yard that is fenced in. Large detached 2 car garage. Lots of storage. Original hardwood floors. Newer furnace and water heater. Roof is in good condition. Deck off of the master bedroom upstairs. " "PRICE REDUCED! This is a really nice HOUSE! You need to got your eye on this one for a hundred reasons, but let's start with the obvious. 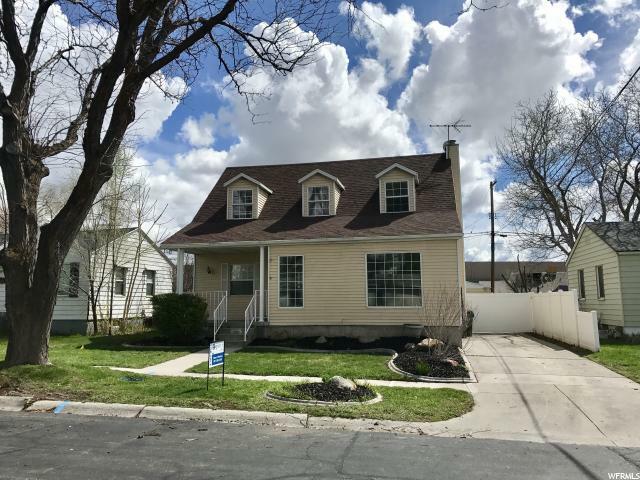 Beautiful, remodeled home with easy freeway access! You'll love the open layout, new flooring, kitchen and bathroom cabinets are all something to get excited about. Come see! Come get excited!" 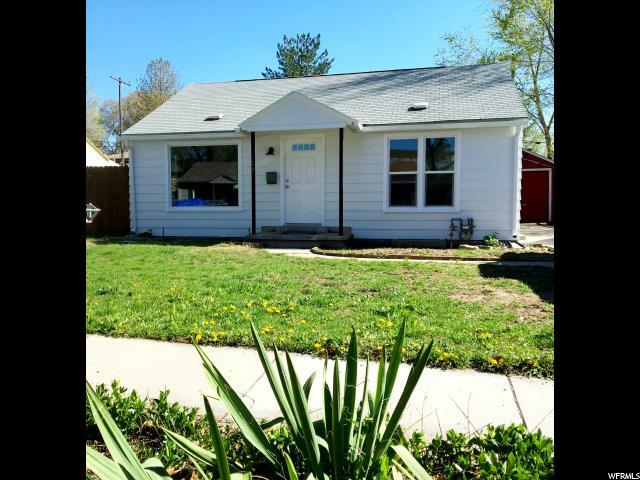 "Fantastic Recently Remodeled Home. New Custom Kitchen Cabinets, Quartz Countertops, Stainless STeel Appliances, Flooring, fresh 2 tone paint and much, much more. Hurry this one will go fast. Buyer to verify all information." "LOOK LOOK LOOK! ENJOY A GOOD BOOK AS THE SUNLIGHT WARMS YOU THROUGH THE WINDOW! RELAX IN THE SECLUSION OF A TILED TUB AND BATH! FEEL THE COMFORT OF YOUR OWN SPACE IN THIS AWESOME AND REMODLED HOME! YOUR FRIENDS AND FAMILY WILL BE GREEN WITH ENVY AS THEY TRAVERSE THE ENTRTANCE! TOTALLY REDONE WITH ATTENTION TO DETAIL IN THIS NEIGHBORHOOD THAT IS ON THE RISE! 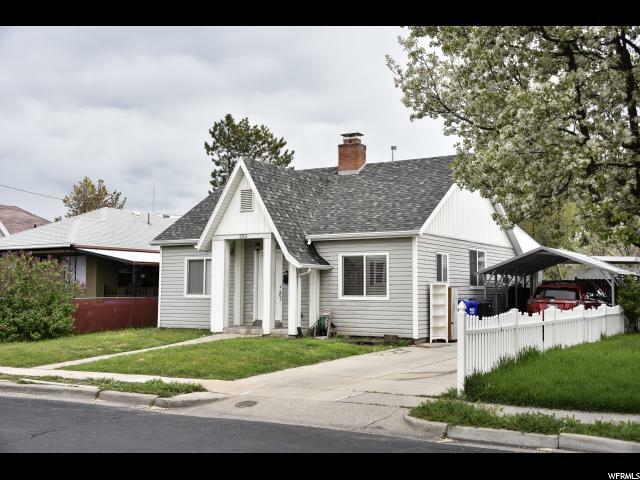 GRANT MONEY AVAILAIBLE FOR FIRST TIMERS OR UTAH HOUSING FOR YOUR FUSSIEST BUYERS! NOTE THE ATTACHED COMPS ON THE SAME STREET AND WITNESS THE UPGRADE TO YOUR OWN FINANCES! " "OPEN HOUSE SAT 4/30 The hardwood floor in the living room has been resurfaced, Vinyl plank in the kitchen. Double pane windows and 95% efficiency heating. Close to Trax and both the i80 and i15 freeways. makes Commuting a simple task. A large back yard and vegetable garden and 6 hens allowed makes this home a Urban farmers dream. 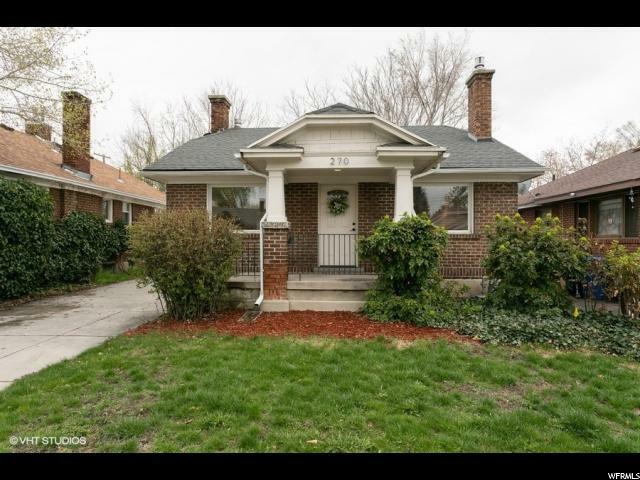 Showing Start at open house Saturday 4/20 "
" 3 bedrooms, 2 baths, plus den/office. Nice kitchen with updated cabinets and Stainless Steel appliances. Covered patio and private back yard. Easy to show. " 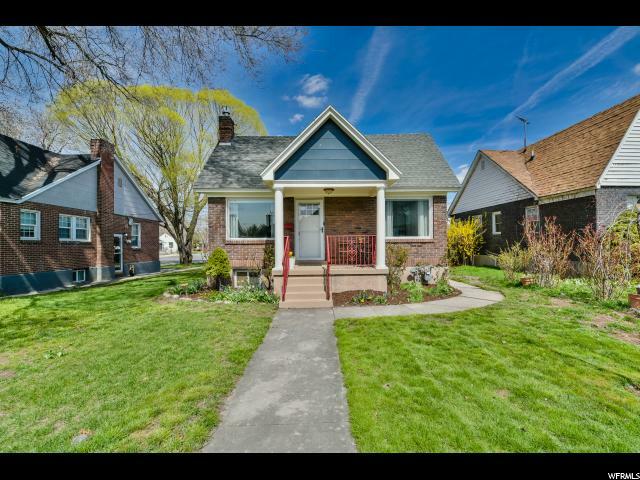 "Adorable bungalow in nice prime location, close to Westminster, Sugarhouse and the U of U. This home has some great updates granite counter tops, stainless steel appliances, beautiful hardwood floors & cozy fireplace. Square footage is based past appraisal, buyer and buyers agent to verify all. " "FANTASTIC DOWNTOWN PAD *** This gem is nestled in the best location in SLC ** Wonderfully open floor plan, - warm, inviting Kitchen, flooded w/ light, ready to cook up a storm or start that Game Night Party going ** Check out the seamless Dining, Great Room w/vaulted ceilings and you'll find the entertaining space you've been hoping for ** Unheard of amenities in an affordable package in this hot part of town ** Serene Master Bedroom has generous walk-in closet and it's own private bath ** Second upstairs bedroom has south facing views onto the quiet dead-end street & a full bath a step away ** Large lower level bedroom includes it's own half-bath, egress windows & sunshine ** Big enough to use as a family room ** Newer, solid construction w/ no tilting foundations here ;-) ** High ceilings up and down, double-insulated windows, wood & tile floors ** Great attached garage w/lots of room to store your gear ** Storage everywhere ** Fully- fenced yard with plenty of room for you & your pup ** Did I say, no HOA ?? ** You've got to check out the going's on in the local Hood ** Lots to explore right on 17th & the adjacent lower 8th & 9th is the new Happening Place ** Check out the restaurants within 3 blocks, you'll be amazed ** Hop on your bike, catch the Trax or grab your car to jump on the Freeway & shoot up to the slopes ** You'll see how this is the prime location in SLC ** Come sip your tea, sit in the sunshine, & make up your own mind ** We think you'll catch the vision! " "Clean house! New bathrooms, new kitchen, new flooring, new furnace, new ac. 4 bed, 2 bath. Great area! Come take a look"
"In order to view Matterport Tour and walk through the house, please click on the Tour link at the top of the MLS listing page. 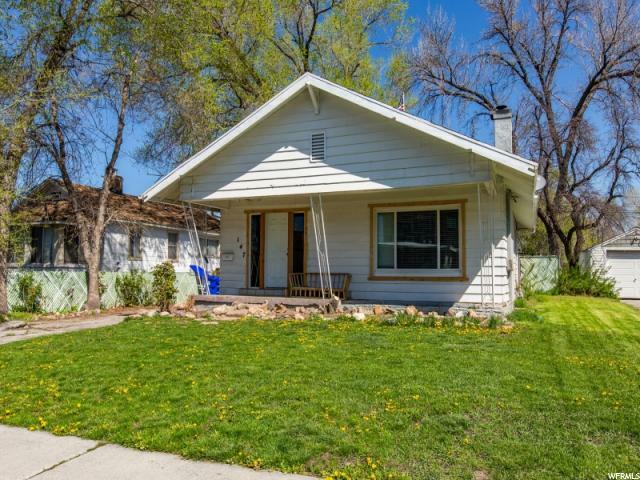 This sweet home features an updated kitchen with cute back splash and newer counter tops! Beautiful hearth fireplace area in the living room, just add a gas insert to make functional. Beautiful new carpet. Over sized two car garage with a 10' 6 door and 26' length bay. Garage also features many 110 v outlets and three 220 outlets, and is dry walled. There are a few shelves built in along the walls with a workbench in the back, and a large overhead storage area above it. It also features it's own electrical sub panel and a 30A RV (110v) compatible outlet, though capacity is still limited to 20A. Also, a new roof was installed in 2016 and a new water heater in 2018. Come check it out before its gone! $450 Elevate Home Warranty Included." "Darling Cottage!!! so close to downtown without the price. 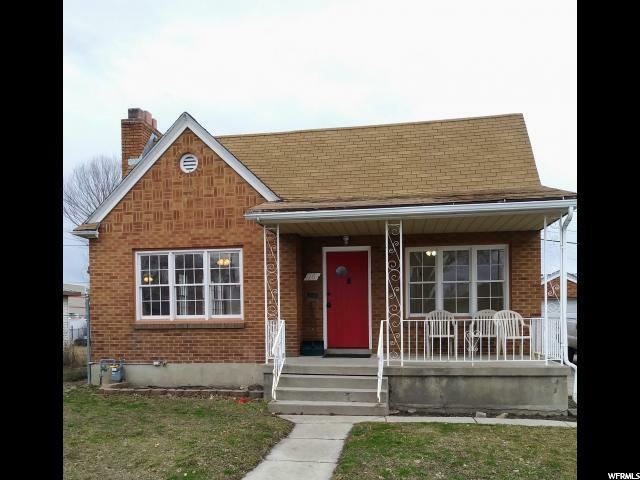 Quiet neighborhood, 3 bedrooms/1 bath, 1 car garage, Hardwood floors, updated HVAC, new windows throughout. Updated Kitchen and bath, above ground garden boxes ready to be planted, Big backyard for BBQ. 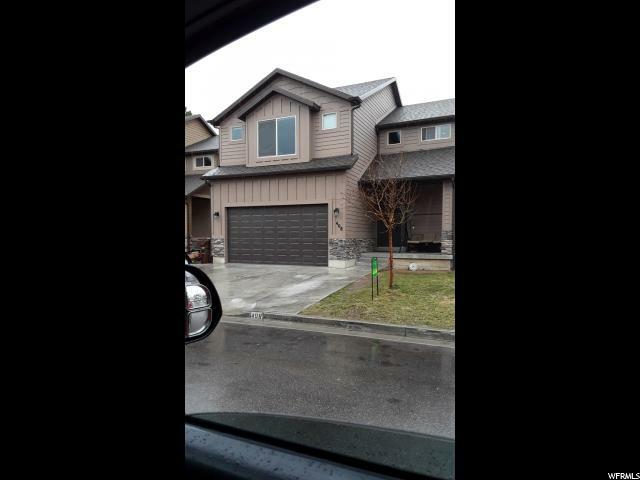 *plumbed and plenty of room in basement for extra bedroom/bath." "**Multiple Offers Received. 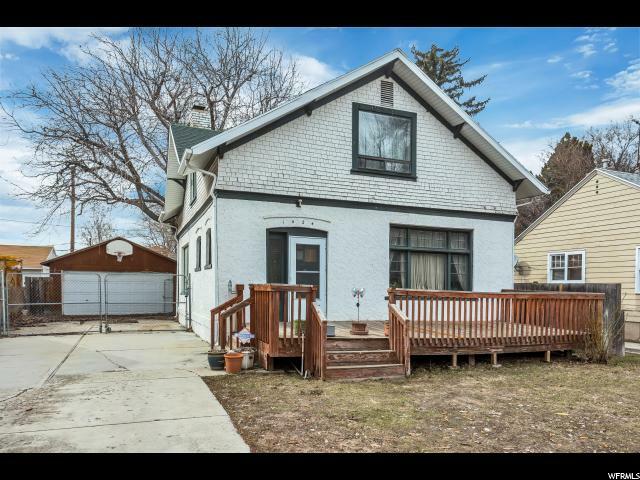 Highest and Best due by Thursday 4/25 at 5:00 PM** RARE find in the Liberty Wells Community! Optional 3rd bedroom in the basement. Brand New Washer. Extra large backyard with privacy wood fencing, patio area perfect for entertaining! 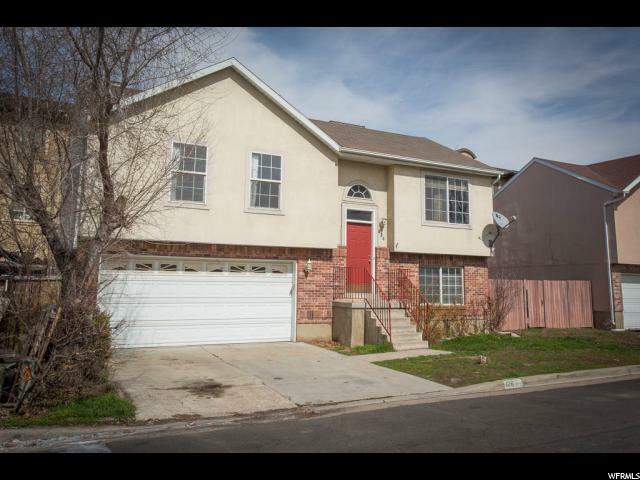 Close to Restaurants, TRAX, Shopping and Parks."